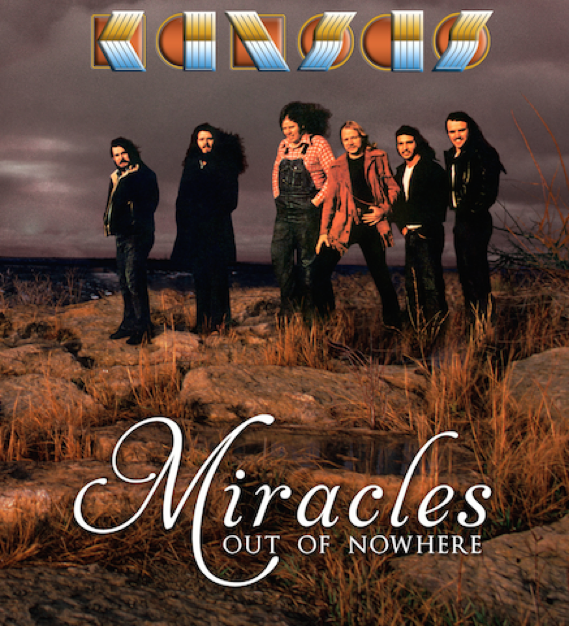 #MoviesMusicPlaysFilmFestivalsConcerts: SBIFF 2015: World Premiere of KANSAS Documentary "Miracles Out Of Nowhere"
SBIFF 2015: World Premiere of KANSAS Documentary "Miracles Out Of Nowhere"
Theatrical release on March 24th, 2015! "Miracles Out Of Nowhere" is a documentary film that chronicles the epic and inspiring career of KANSAS. 2014 marked the 40th anniversary of the release of KANSAS, the band's debut album. To commemorate the occasion, the classic KANSAS lineup reunited for the first time in over 30 years; at the place their memorable journey began, Topeka, Kansas. The documentary features interviews from legendary Queen guitarist and former tour mate Brian May, acclaimed producer Brendan O'Brien, Rolling Stone/journalist icon David Wild, and more. Featured prominently is country icon Garth Brooks, who counts KANSAS, alongside The Beatles and the Eagles, as one of his greatest inspirations. These extraordinary new insights are coupled with rare and unseen footage, including live performances and candid, fan-shot footage of the band on the road. "Miracles Out of Nowhere" offers an unprecedented look at the incredible ascent of KANSAS, a story that will appeal to new fans and veteran enthusiasts alike. Directed by Charley Randazzo (Grammy, Emmy, Ace and three-time MTV award winning director/editor). Projects include documentary films on artists such as Michael Jackson, Frank Sinatra, N'Sync, Prince, Backstreet Boys, Shania Twain, Garth Brooks and Trisha Yearwood. Produced by Budd Carr (Best known for his work with Academy Award winning director, Oliver Stone.) Represented acts such as The Cream, James Taylor, Carole King, Eric Clapton and Crosby-Stills-Nash and Young. Film also includes commentary from KANSAS' classic line-up: Phil Ehart (drums), Dave Hope (bass), Kerry Livgren (guitar and keyboards), Robby Steinhardt (violin and vocals), Steve Walsh (vocals and keyboard), Richard Williams (guitar). First classic line-up reunion in more than 30 years. David Wild (Rolling Stone), Garth Brooks, Brian May (Queen), Brendan O'Brien (acclaimed producer) all provide commentary and are featured prominently throughout the film.